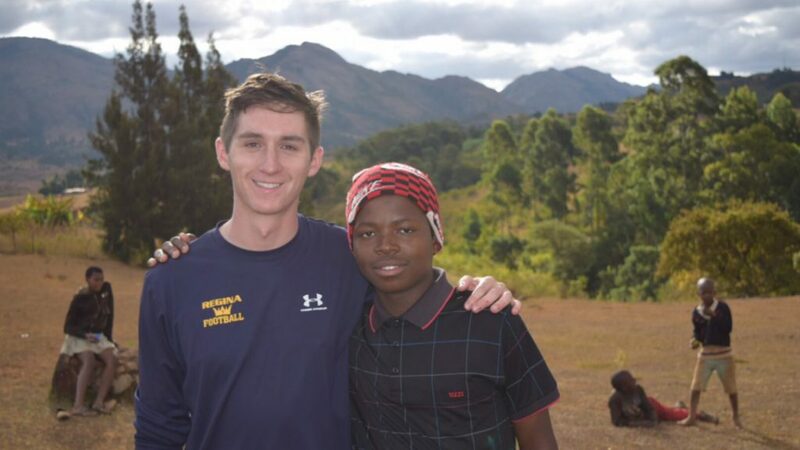 Blake Smith is a graduate from the University of Iowa College of Public Health (16MPH) and is currently serving with the Peace Corps in Swaziland. During his time in Swaziland, Blake has gotten involved in many different projects as a Peace Corps volunteer. From HIV prevention and support programs at a rural clinic, to assisting with the creation of the local school’s first library, Blake has had many opportunities to gain hands-on experience working with community members on various projects. Through his work at the clinic, Blake has also been working to educate high school girls on how to make affordable and reusable sanitary pads to prevent them from missing school as a result of getting their periods. Outside of the clinic Blake has been involved in developing income generating projects and teaching financial literacy and general business skills to caregivers of orphans and vulnerable children. While Blake says one of the greatest challenges he faces during his service thus far is the social isolation that can come with being a Peace Corps volunteer, he also mentions that once deep and close relationships are formed with local people, you begin to feel like you really are an important part of their lives and community; “it’s an amazing feeling.” Blake shares this type of relationship with members of his host family, which has transformed his experience in Swaziland and influenced how he will look back on these two years with the Peace Corps. Written by Samantha Kloft, a campus ambassador for the Peace Corps at the University of Iowa and a second-year College of Public Health graduate student in community and behavioral health. Blake’s profile is one of the monthly Peace Corps Spotlights that shed light on the experiences of UI alumni as they serve in locations all over the world.